As I get older, it is hilarious (and scary) for me to notice all of the similarities between my mom and I. We don't really look alike, we don't sound alike, but boy do we act alike! We do kiss statues similarly. During our first afternoon tour around Sedona, we received a recommendation to visit the shopping center Tlaquepaque. Which I have no idea how to say out loud. The buildings are hidden from street view, nestled back in a well shaded area perfect for strolling through the various art galleries and shops open for business. We popped in and out of almost every store, looking at beautiful art, crystals, turquoise jewelry, and cute kid things. We headed back to the hotel early, since we were both tired from the travel day and excited to watch the sunset. The next morning we were up early for our nature hike, which was full of many jittery steps, a fear of high altitude, funny photos and laughs. We even took a few videos. 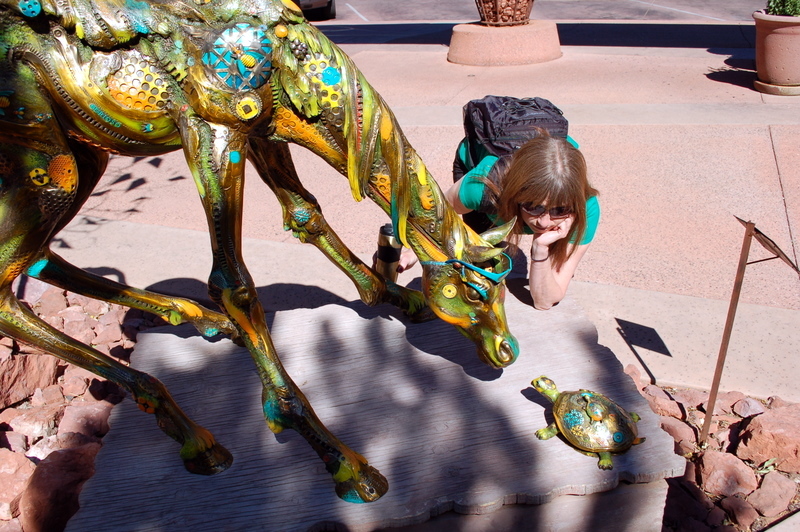 & then kissed some more statues. The rest of our day was spent strolling the town and enjoying all of the weird new age awesomeness it had to offer. Most importantly, we enjoyed time together. 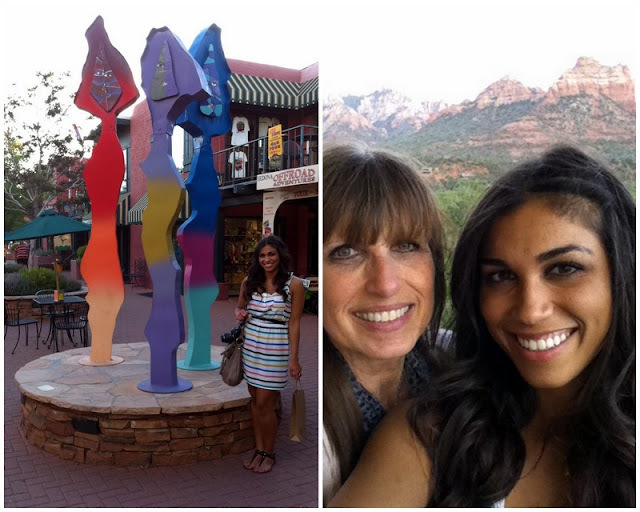 Cheesy as it may be, nothing beats mother daughter time. Which came to a very delicious close.